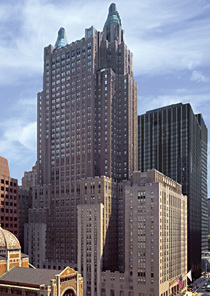 Management at the Waldorf Astoria wanted to promote the rich history of its New York hotel and acquire items for its on-site museum, Host to the World. After seeing many stolen Waldorf Astoria items for auction on sites such as eBay, the hotel and Quinn & Co. Public Relations created an amnesty program to allow former guests to anonymously return items without paying a penalty. Pitching to local and global publications, the agency targeted outlets with a focus on travel history including The Times in the UK and The Australian. Returned items and accompanying stories were shared on the hotel's Facebook, Twitter, and Pinterest pages encouraging other guests to participate. Compelling stories were leveraged throughout the campaign to garner additional coverage. The number of people who reached out to the hotel with items or details of a personal connection was 125. One of the most interesting items returned was a coffee pot taken during a honeymoon in 1938. The couple used it every year on their anniversary. "The attention we garnered from traditional media was well beyond expectation," says hotel marketing manager Mark Zolbe. The program received coverage in more than 120 outlets, including an interview with Zolbe on Fox Business' Money with Melissa Francis and PBS travel show Rudy Maxa's World. A feature on USAToday.com was the most read article for the week ending June 29, 2012. The hotel's Facebook page gained an additional 4,547 likes since the beginning of the campaign. The hotel continues to receive items and the team is building an archive with displays in the hotel and online.